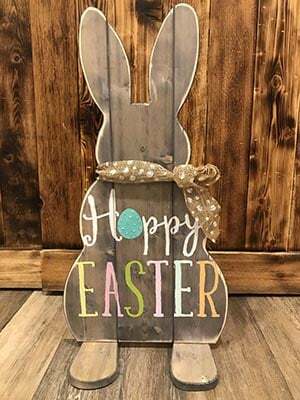 Glitter Your Pallet welcomes Michelle Abbs and friends for the Standing Wood Bunny Painting event. Join us Friday March 8th @ 7:00pm. HUNGRY? Feel free to bring snacks. Simple finger foods work best as this is a painting class. We supply all plates, glassware, napkins and utensils. Please only bring what you will consume. THIRSTY? This is a BYOB event. Yes, we supply wine/beer openers, glasses and ice.